Yesterday was one of those days that you never want to happen. Over the weekend my car started to make some noise and I was told it might be the wheel bearing. So I took it in to get checked out and I soon discovered that my car had a long list of problems – I knew this was going to happen sooner or later since it is 12 years old! 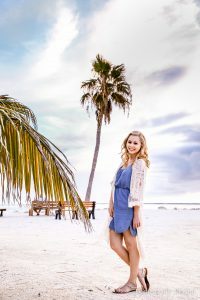 So if you are going through some car issues right now, just know that I feel your pain – and if you want to cry, I’ll cry with you! Yeah… I’m that sad about my car. 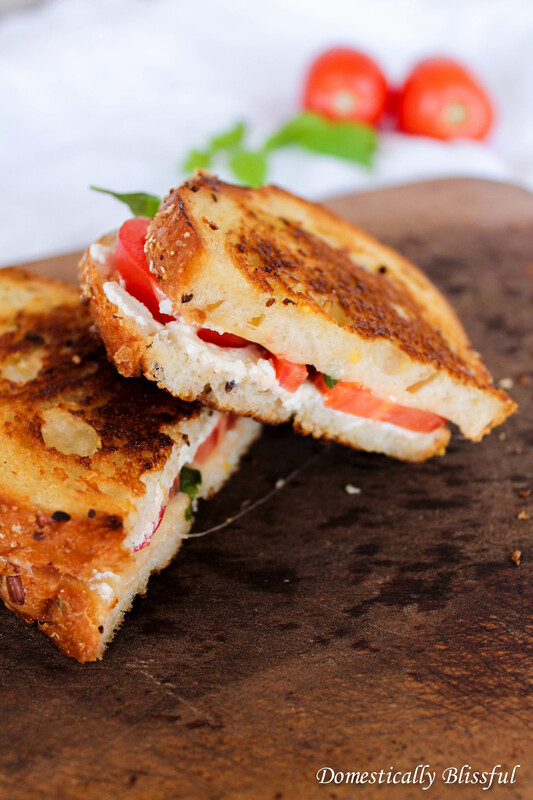 Anyway, since car problems are a part of life and they are distressing and bothersome to everyone I thought it was time to share some comfort food in the form of this Goat Cheese Grilled Cheese. 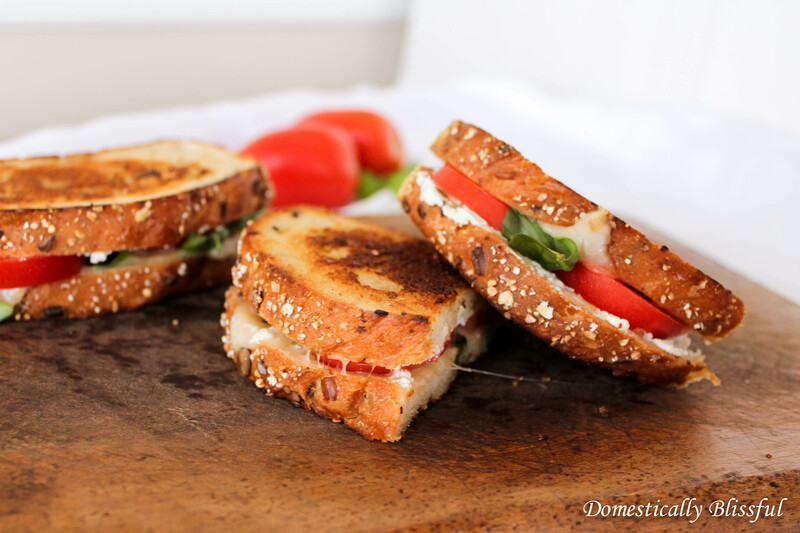 Grilled cheese sandwiches are a staple in our home, just like macaroni and cheese and pizza. We eat grilled cheese for lunch, for snacks, and always with soup! 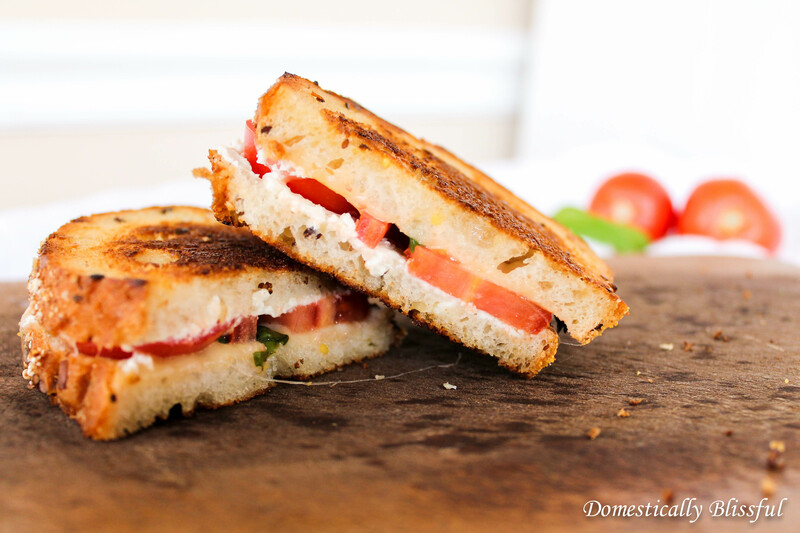 One of my favorite grilled cheese sandwiches is this Goat Cheese Grilled Cheese – seriously so good! My husband once compared these Goat Cheese Grilled Cheese sandwiches to my Sinfully Delicious Cinnamon Rolls – yes that is a serious compliment! Bread – This time we used Publix Bakery Italian Five-Grain Bread, but we also like to use their Italian Bread. 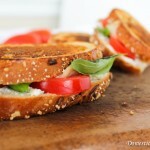 Havarti or Fresh Mozzarella – I prefer the mozzarella but we always have havarti in our fridge. If your goat cheese is really hard from being in the cold fridge melt it on a small plate for 5-7 seconds. Then spread a slightly thin layer of goat cheese on the inside of both pieces of bread and the butter on the outside pieces of the bread. Place one piece of bread, butter side down on a pan at medium heat. Then layer on the sliced mozzarella, tomato, basil, and the top of the bread. I like to pat down the tomatoes to remove as much liquid as possible before adding it to the sandwich. 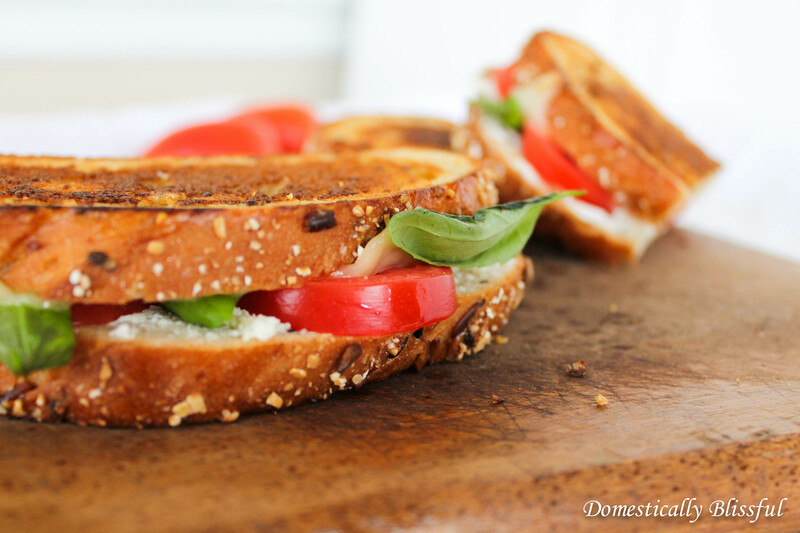 Grill the sandwich until golden brown on both sides. Enjoy with a good bowl of soup – I personally would recommend Minestrone or Simple Vegetable Soup. Place one piece of bread, butter side down on a pan at medium heat. Then layer on the sliced mozzarella, tomato, basil, and the top of the bread. Enjoy with a good bowl of soup. I like to pat down the tomatoes to remove as much liquid as possible before adding it to the sandwich.